To celebrate Mother’s Day the most special way possible, every mother should be treated like a queen at least one day a year. Because our mothers have spent a lot of time taking care of us, it’s the time of year for their turn to be taken care of. You can treat Mom with a pampering experience that will let her know just how much you cherish her. Surprise her with an already planned spa day so all she has to do is show up and be pampered! 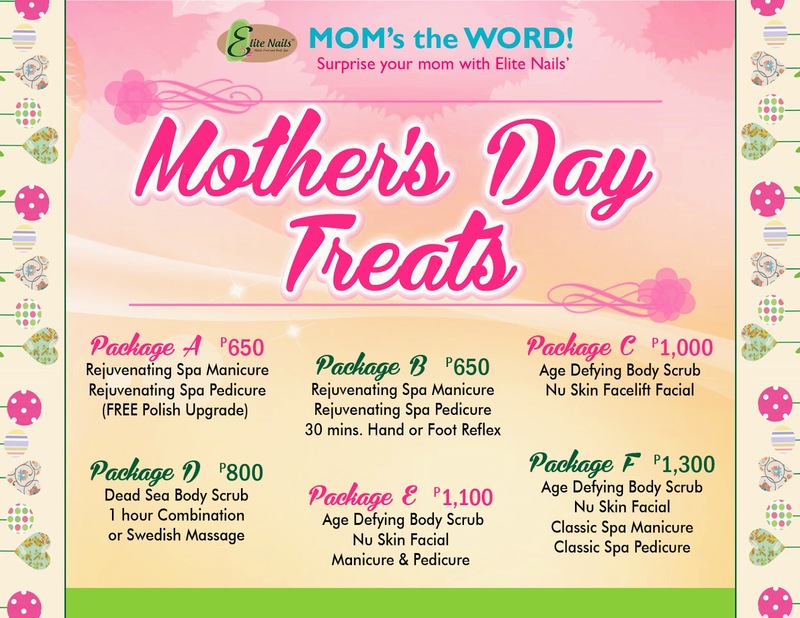 For busy Moms on the go, this is the perfect time to indulge and reward her hard-working hands and feet and gave them fabulous look after. Give Mom a time-out from any kind of work and let her enjoy a pleasurable time in the spa. The hand and foot reflexology treatment is perfect for revitalizing tired hands, feet and legs and soothing aches. Renew her inner glow with this soothing combination for a chance to unwind and get some much-needed “me time”. Be cleansed and de-stressed. Both treatments designed to relieve stress and each lasting an hour or more. Truly an escape to a nurturing spa experience. Treat her to a relaxing full-body scrub that includes an exfoliating and polishing body rituals and an infusing facial treat of Nu Skin’s finest ingredients and concludes with a manicure and pedicure. This luxurious almost three hour treatment, begins with an anti-ageing facial using Nu Skin’s intensive technique that is suitable for all skin types, followed by a relaxing face massage that results to skin that’s fresh and glowing. The second hour focuses on the ultimate whole body treat with a gentle sugar rub, massaging essential oils and creams into the skin and a moisturizing mask to boot. Rounding out the experience is a pampering spa manicure and spa pedicure treatment- all these for one fabulous experience fit for a queen! Because our MOMs are the dearest persons in our lives, let’s give her only the best on her special day. Make sure to spend time with her and make her feel special this Mother’s Day.